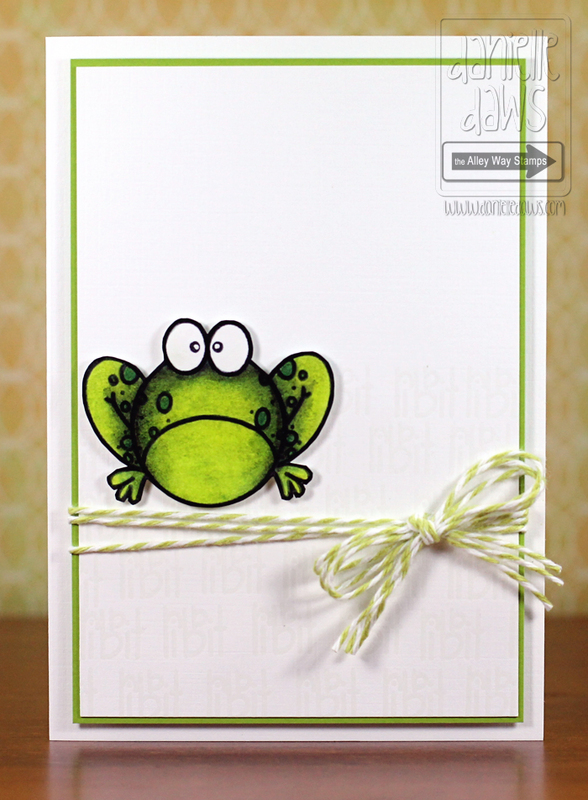 The Alley Way Stamps: TAWS October Sneak Peeks ~ Day 3 & Giveaway! Good morning! It's the last day of SNEAK PEEKS!!! We have another set to give away before the hop tomorrow... And don't forget - on hop day we give away ALL THREE OCTOBER SETS! Hi, My name is Jessica Esch, the wife of a VERY supportive husband and a stay at home mom of two wonderful and very active boys, Casey (11) and Parker(9) . Between football, basketball, soccer and baseball I found I needed a hobby for myself and found paper crafting! I began my paper crafting journey in 2010 and have grown not only as a card maker, but a stamper, scrapbooker and everything in between. You can always find me sharing projects on my blog~Chick-n-Scrap and hope I can inspire just someone along my crafty journey. I am so honored to have been asked to be a part of the TAWS DT and hope I can inspire you with their adorable stamps! We are so excited for her to join our TAWS family! 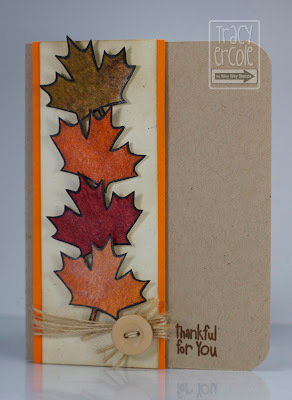 Hi Tracy here, I used the fab new set It's Fall About You for my card. Don't you just love this leaf image! Danielle here, I'm sharing a cute card I made with Kid N Caboodle! How cute is this little frog?! Hi everyone, Jessica here to share a card I made using the adorable Turkey from the new set~ It's Fall About You. Is he not the cutest EVER!! Hello! 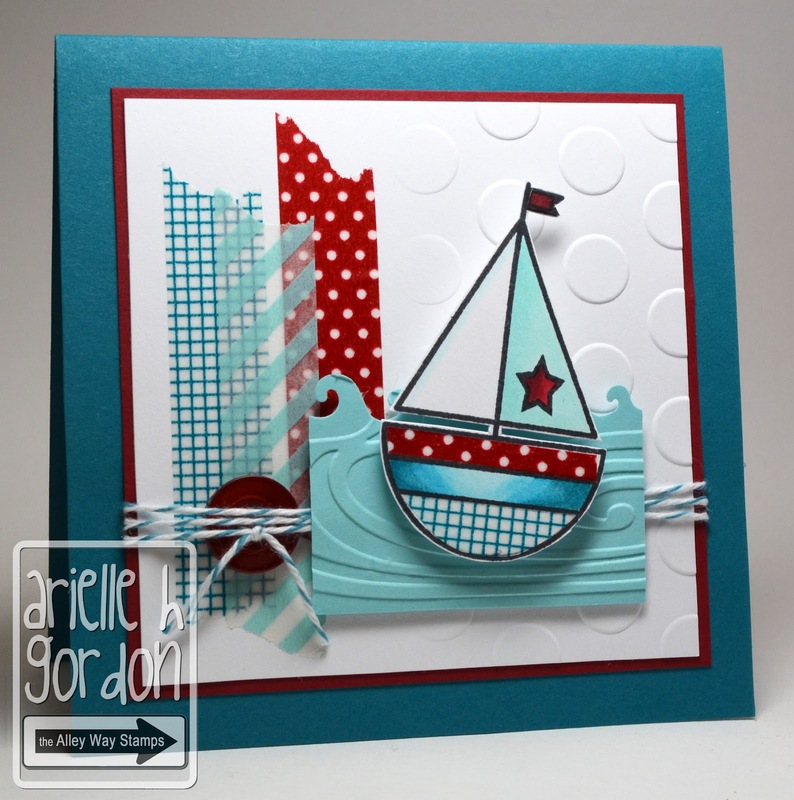 Arielle here with the CUTEST little sailboat I've EVER seen! This is from the new set, Kid N Caboodle! I am also giving away a free set. After the hop on Thursday, I will draw a name from everyone who left a comment at my blog on any of my 3 sneak peek posts and blog hop post, so be sure to visit my personal blog each day! Oh - I love the cute little frog! Congratulations to new DT girl Jessica! !..and i loved the leaf and the little froggie stamps. Great cards. Love the frog and the sail boat. Can't wait for this release, so cute! Adorable cards everyone! Can't wait to see all the new sets! Congrats to the new addition to the creative team! The frog is so adorable! Beautiful samples! Love the little boat. All images wonderful. Such fun card ideas! And you can never have too many autumn sets! What sweet cards! Great job by everyone! what great cards you ladies have made. I especially like the little frog. that frog kills me!!! so cute! and the leaf image is awesome!!! i can't wait to see the whole sets! 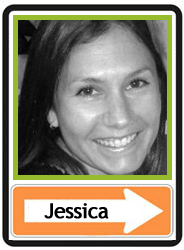 Welcome Jessica! Love her first card, that turkey is adorable. I love his colors and the stitching. Yay, it's great to see Jessica on here. She's a doll. Congrats Jessica. Love the DT creations. that turkey is Adorable!!! I just shared to my Facebook wall! These gals are so dang talented! What delightful card creativity! These new sets are SO SWEET! I've shared the love on FB! Congrats to Jessica!! Such an asset, her talent is amazing!! Such a fun blog, I am a new follower. Now to go and check out the store!!! Love the turkey!! All the cards are super cute! Thanks for sharing! Ack! These are all so adorable! i just love that frog and welcome you lucky girl! Welcome to Jessica! And great cards today! Excited about the hop and reveal tomorrow! Awesome cards today. Love the sail boat one. Welcome Jessica!!! Congrats Tina!! Congrats Jessica for your dt spot. Love these stamps. Thanks for the opportunity to win and the design team inspiration I am a new follower. I love the little frog! I am so TOTALLY excited about the Kid 'N Caboodle set! I think it'll be great for my little man! I most definitely shared this blog post on facebook! I love the sailboat! The Kid 'N Caboodle set looks like a real winner! Wonderful projects today- I'm seriously loving the final one- the sailboat card! What cuteness everywhere!!! LOVE these sneaks! Tom the Turkey has the sweetest expression - love it! And how cute is that frog? Great cards DT ! Super cards, they are all so fun and different! Love them! I love the Maple leaves! We don't really have fall leaves here in North FL but, I do love to see them. Darling new sets...and especially love the froggy from Kit N Caboodle! Congratulations Jessica!! Love all the pretty cards!!! Super fun cards! I really like that boat! 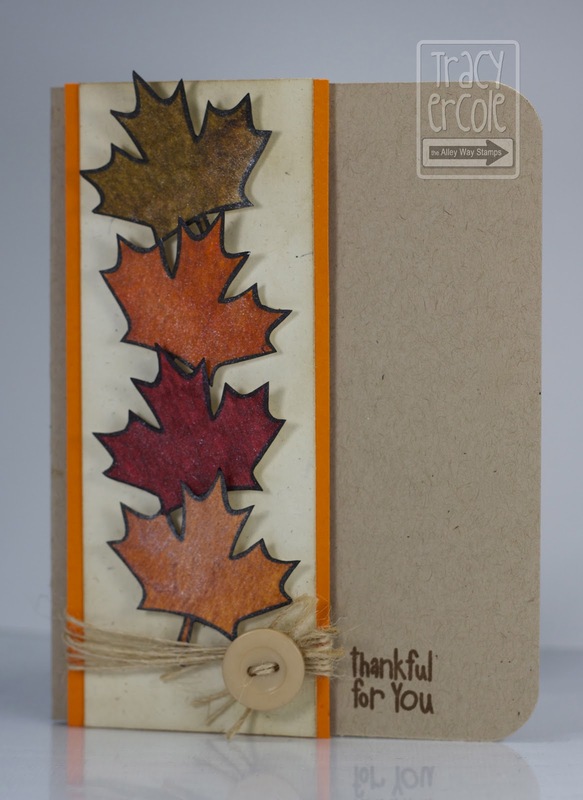 The leaf stamp is great...can see many cards and layouts using this nice image. Great job by the DT. 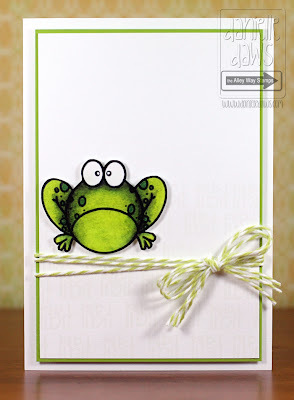 What cute cards...in love with that frog! Loving all of these cards! Beautifully done! Oh these are so adorable. I love the frog and turkey. So cute. Great cards! WOOT WOOT, CONGRATS JESSICA!! The cards are great...yhe turkey is adorable!!!! I just love that little frog! He's soooo cute. Congrats to Jessica! I agree, hat little frog is adorable! Super adorable cards!!! Love the sneak peeks!! adorable images, I love the frog.